Using Cisco Spark’s Open APIs, come up with a hack that is both innovative and useful. It can be a chat bot or a solution that leverages Cisco Spark as a collaboration platform. To learn more the Spark APIs see https://developer.ciscospark.com/. For examples, see https://depot.ciscospark.com/bots. Our current internal favourite is kernel_zanders who helps us with our team’s fried chicken orders. https://github.com/haskalpa/docker-spark-bot-example makes it easy to get started with bot using Python and Docker. Come to our workshop to find out more. Good luck and let the best idea win! Using your imagination, incorperate the topic of transport. You could make an app, displaying bus routes when you scan the frount of a bus, or using hardware to display tube line information. The outcomes could be endless! Hook up nexmo to one of the many ‘Bot’ platforms out there, such as Amazon Lex, Microsoft Bot Framework or Google Dialogflow. Get creative, you are free to use any platform you wish. The Starling Bank Open Banking APIs give users the power to share and integrate their finacnial data. Build a hack that takes uses the data in new and interesting ways! * - Including projects that don't relate to the Starling Bank APIs but are interesting projects for banking! .tech are offering a prize for the best interactive website using a .tech domain. Feel free to make an interactive website on a choice of your own topic. The website must be connected to a .tech domain (which are free for all attendees). 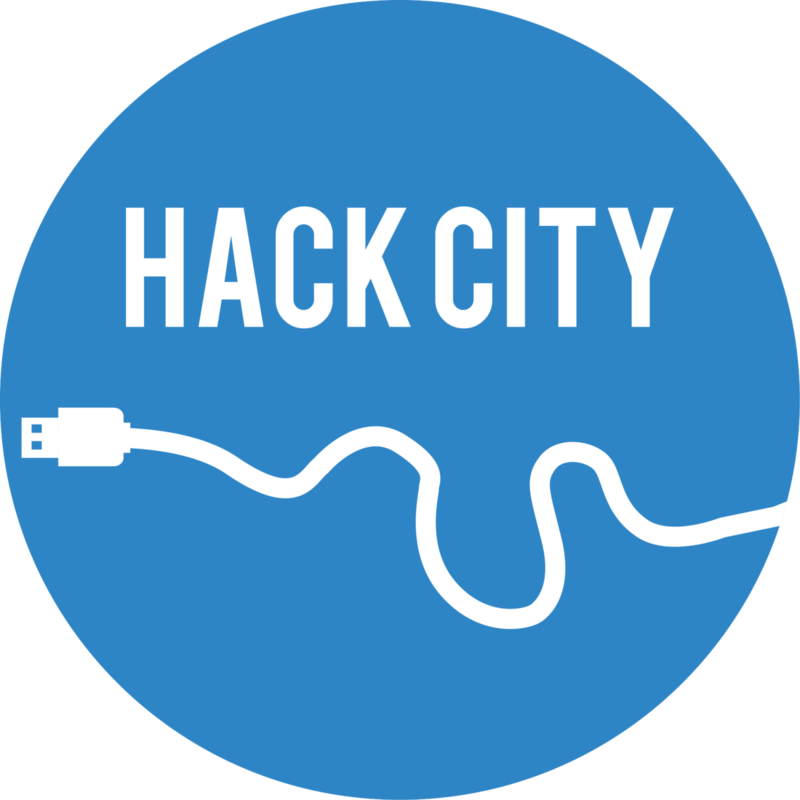 HackCity (a student-run hackathon at City, University of London) is welcoming students from all over the world for a weekend of hacking, workshops and fun! You must have a ticket to attend HackCity18. Any attendees must be 18 or over and be a student with a valid student ID. Teams must have 4 or less people to be eligable for prizes.